For your safety and well being, you must have an adult family member or friend drive you home and remain with you after surgery. We cannot permit you to leave unescorted. It is for this reason that we provide courtesy transportation so as to ensure your safety to and from your home. 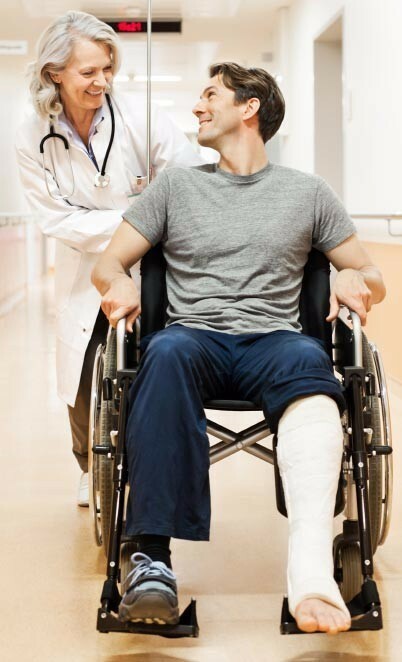 The medical staff will discharge you when they are assured you are in stable condition. HOWEVER, you could feel sleepy, slightly dizzy, or nauseated. These are possible side effects of anesthesia that can last for 12-24 hours. What can I do to minimize pain after surgery? If you are having a surgical procedure, you may experience normal pain afterwards. To minimize pain after an orthopedic procedure, ice and elevation of the affected extremity will help minimize swelling, reducing pain. If you have been given a prescription for pain medications, get them filled as soon as possible (before surgery). Stay on top of your pain by taking the pain medication when you first become aware of pain sensations. Remember, always eat before taking pain medications to avoid nausea. Why are cuts and/or abrasions close around my surgical site important to detect and report? If there is a break in the skin around your surgical site, the chance of infection is increased. If you notice any break in the skin anywhere close to the surgical site, please notify your surgeon and the Surgical Center immediately.